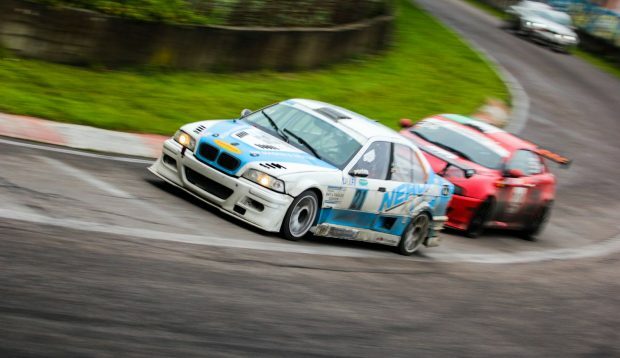 In the coming Baltic Touring Car season within North European and Baltic Endurance Championship, a new project will be carried out for beginners in endurance races, named “Endurance Academy powered by Nankang”. The project will include teorethical training and two rounds in Riga and Pärnu. This project will be open to racers from all over the Baltic and other countries. The new format is intended to be a transition for drivers who want to try endurance races. Not only the speed and durability of the drivers but also the tactical battles, strategy, and teamwork overall are an important elements of endurance racing. That’s why participants who want to take part in the Endurance Academy will have the opportunity to attend preparatory seminars where the professionals will share their experience. “Every year teams grow professionally both in technique and driver skills. Realizing that participating in these competitions requires a lot of investment, we want to offer something for beginners in this discipline – Endurance Academy that will allow participants and teams from different racing disciplines feel the essence of endurance competition with lower costs. It will be a stepping stone for participation in the Baltic and Northen Europe Championship,” says Andis Meilands, the organizer of the Northen and Baltic Touring Car Championship. The Endurance Academy will have a two-hour format. Teams will have two drivers with driver change and refueling in the middle of the race. All participants will have the same Nankang tire model. In Endurance Academy are included following classes: cars with an engine capacity up to two liters (A2000) and up to three liters (A3000), allowing to participate to former members of Baltic Touring Car Championship National Class, Super 1600 and other sports classes. The first round of Endurance Academy is scheduled to take place in Riga Summer Race on August 16 and 17 at Bikernieki racetrack, while the second round of the series will take place on September 20 and 21 in Estonia, auto24ring.